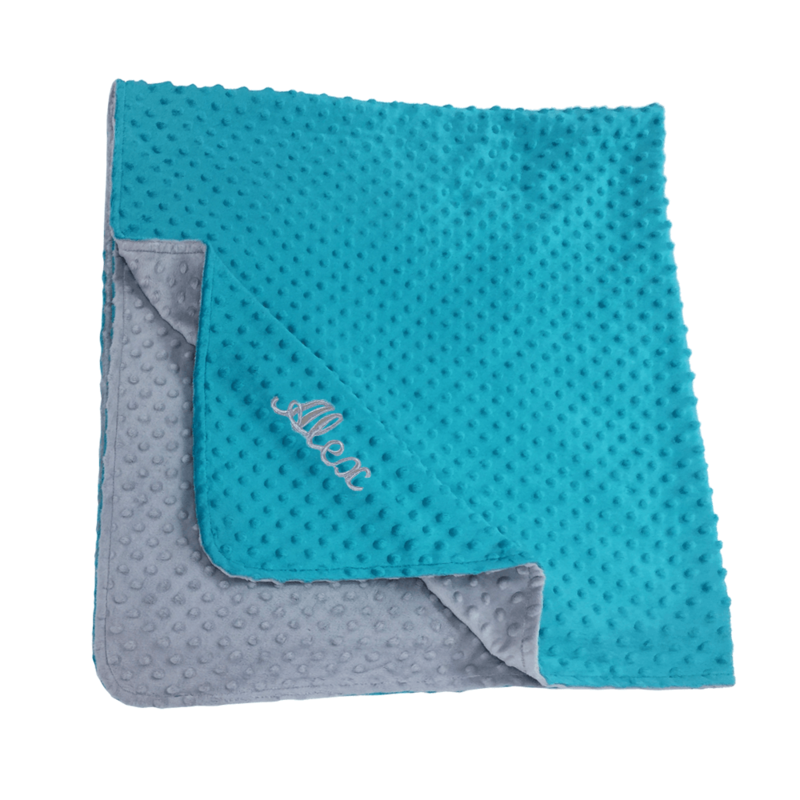 Personalized Toddlers minky blanket, size 120*120 cm, embroidered with the baby’s name. Suitable up to 5 Years old! Teal and grey.